The tragic death of the leopard was filmed by witnesses on cellphones in Mallaram village. Nizamabad divisional forest officials said power had to be switched off to bring the leopard's body down. 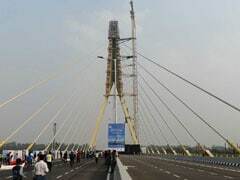 Residents of a village in the Nizamabad district of Telangana, 180 kilometre from Hyderabad, watched stunned as a leopard dangled off the very top of an electric pole at least 12 feet high. 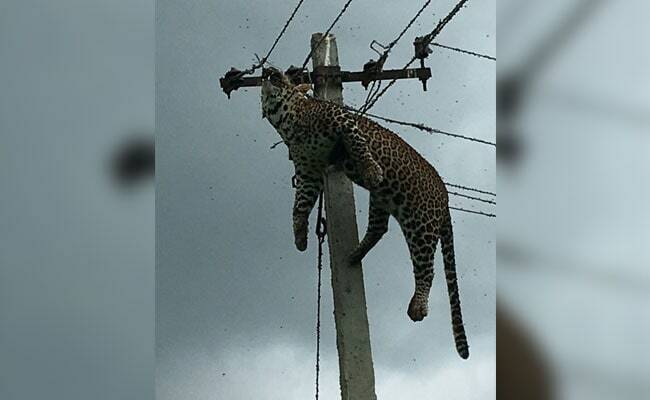 Officials say the cat had for some reason climbed the electric pole and got electrocuted after it tried to bite the wires. Power had to be switched off to bring the leopard's body down. Forest officials said the leopard was about four-years-old and possibly came to a water hole nearby. The forest area is also less than a kilometre away. Nizamabad divisional forest officer VSLV Prasad said the leopard must have "ventured out of the forest which is only a short distance away, in search of prey like cattle."